St Peter’s Brownies meet weekly during term time in a local school. Our meetings are full of challenges, games and activities, usually ones that the Brownies have suggested themselves and noise; lots of noise. We follow a programme called the Brownie Adventure. The name reflects the world of exciting opportunities, challenges and fun. The Brownie Adventure is divided into three areas: You, Community, World. Girls also extend their knowledge and abilities by working towards Brownie interest badges. Last term we completed artist, craft and designer. 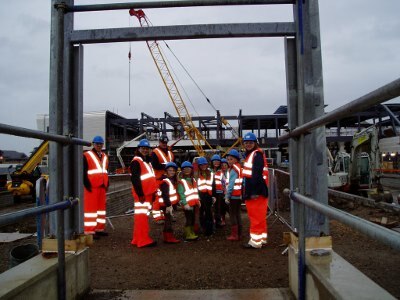 We visited the construction site at Reading station and had a great time dressed up in hard hats and hi-viz jackets. 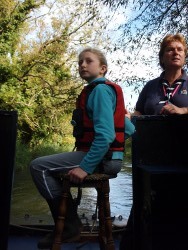 Also some of the older girls went on a narrowboat trip on the Kennet & Avon Canal. 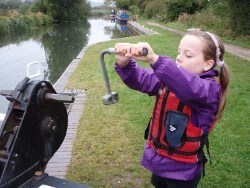 As well as a sleepover, all the girls got the chance to drive the boat and help with the hard work of opening and closing the locks. We also went to London to stay overnight at I Can Do in Girlguiding headquarters in Buckingham Palace Road – next door to the Queen. We visited Westminster Abbey, took a ride on a duck and went on the London Eye.